Ciao! Hello and goodbye rolled into one friendly greeting in Italian and so far it's about the only Italian I've mastered. 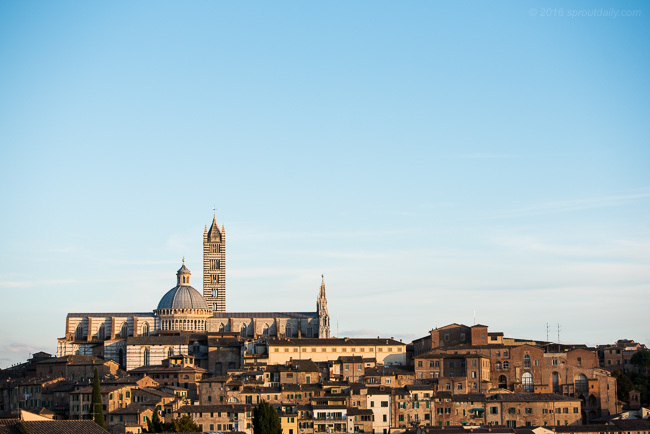 We've spent the 3 days meandering south from Milan through the Tuscan towns and countryside. It's hard to comprehend the scale of time and culture here. Enormous, beautiful and chapels built of solid marble blocks and decorated by the Renaissance Masters tower over almost every town. Tonight we made it to Rome just in time for peak hour; bad idea driving into that madness! Not to worry, it'll make the feeling of diving into the waters of the Amalfi Coast all the more sweet tomorrow afternoon. Can't wait to get back in the sea! Looks like a little bit of South swell for Sydney over the weekend. Wind's going to be strong but offshore for Manly. Slight improvement on the Nor-Easter's!